Nobody decides that they want to drive all over searching Milwaukee Chevy dealers for the perfect used cars for sale. When you check out our easy to navigate website, you will see you don’t have to waste precious time looking for used cars for sale while driving to Milwaukee car dealerships. At Ewald Chevrolet Buick, we have a website with a selection of used cars for sale that you will love to browse through. We encourage our Ewald’s Chevrolet dealership customers to take full advantage of our online shopping tools. Quickly search through our full selection of used cars, trucks, minivans, and SUVs for sale based on the criteria that are most important to you. Ewald's Chevrolet dealership offers drivers like yourself plenty of different makes and models of used cars. Giving drivers like you all the variety that you need when selecting your next vehicle. No matter which style of vehicle you are searching for in our selection of used cars for sale give us a try. Ewald Chevrolet Buick is certain to have a vehicle that is right for you. Do you want a strong and capable SUV, a sleekly styled Sedan, or a rugged truck for sale? 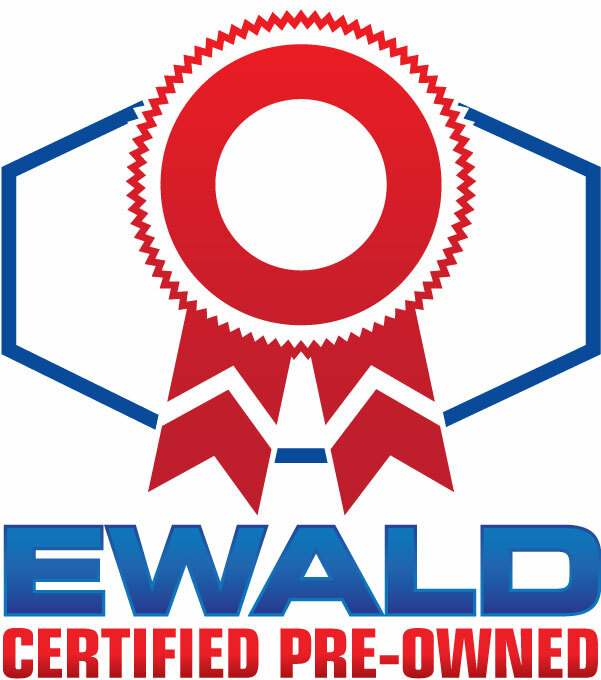 Ewald's car dealerships near Milwaukee are more than certain to have a vehicle that is just right for you and your day to day needs. Are you searching around for great deals on used cars for sale to help you get out on the road faster? Check out our Used Cars Specials page. Want to get the ball rolling with car financing? Fill out a secure Online Credit Application. Have a trade-in? No problem. MAX AllowanceR will allow you to receive a Considerate Cash OfferTM on your trade-in vehicle. Ewald Chevrolet dealership can even offer drivers like you many great offers and specials. That makes shopping for your next car even easier by making it much more affordable to get back out on the road with a car you will love. With everything that we can offer you, you won't be disappointed, so stop in today. In the area? Then you need to come on over to our car dealerships near Milwaukee WI at Ewald Chevrolet Buick, today! We serve the Oconomowoc, WI area with pride. As well as the surrounding areas of Monterey, WI, Waukesha, WI, Madison, WI, Concord, WI, North Lake, WI, and more. Offering many different makes and models of used cars for sale that drivers like you can test out on the open road. Here at Ewald Chevrolet Buick, our wide variety of used cars in Wisconsin will make it faster and easier for you to get back out on the road with a vehicle you are certain to love. Used Buick cars for sale, like the Buick LaCrosse, give you all the style and comfort you need. A used SUV, like the used Chevy Tahoe for sale, can give you all the power and capability you desire. No matter what style of used vehicle you are in search of, you are sure to find it right here with Ewald Chevrolet Buick. Here at your local car dealership near Milwaukee, we want you to drive away in a used car with a smile. A used car from your local Chevrolet dealership, Ewald Chevrolet Buick, is a pleasure to drive and own. Find many features both inside and out on the used cars for sale. By choosing a used car, many can usually afford to get additional features than on a new car. All because of the extra savings on used cars for sale. Features such as heated leather seats, Bluetooth, and steering wheel controls are just a few luxury features to check out. Or check out a used car for sale with dual-zone automatic climate control and remote engine start. Find out about all of the incredible features that are available on used cars for sale when you come to Ewald Chevrolet Buick. So, stop on in today and take a good look at our many great used cars in Wisconsin at our Chevy dealer near Milwaukee today. With used Chevy Malibu for sale to used Chevy Tahoe, Ewald's used car dealerships by Madison WI is certain to have what you need to get back out on the road faster than ever. Ewald Chevrolet Buick offers you and all others in Wisconsin the selection required to make an easy and stress-free selection on a used car. Stop by our car dealership near Milwaukee today, Ewald Chevrolet Buick. Find your next used car and enjoy a test drive down the streets of Wisconsin. When you meet with our friendly team to answer any questions you may have, and experience an easier and exponentially less stressful car buying experience. All by coming to Ewald Chevrolet Buick.